Every year at Christmas when my kids were little we would make Christmas ornaments together. Now I do it with my family members and we make a whole night of it, with craft supplies, some wine and a lot of fun memories are shared. So I'm always on the look out for simple ornament projects, while I was looking this year I found quite a few but ended up picking out something that both young and older would love to make. They are super cute and so easy! You can make then with very little supplies, that's a plus. And they look so awesome that you can give them away as gifts too! Yay! 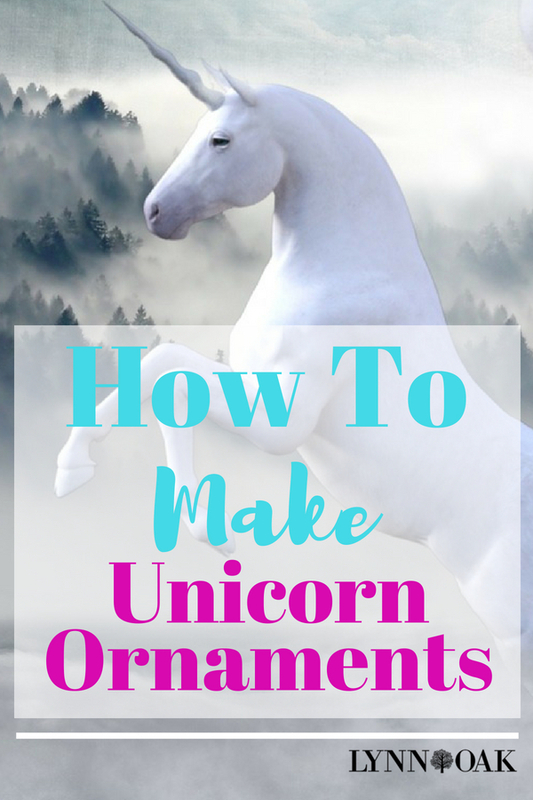 I'm going to show you how to make Unicorn Ornaments for your Christmas tree and your kids or adults will love making them too! Start a new tradition with your family! 1. Gather up your supplies and take the top off the ornament. 2. Get your can of Craft Adhesive Spray and spray inside the ornament. Be sure to coat the entire inside well so that the glitter will cover it all. After you’ve rolled it around and made sure it’s all covered then, empty out the ornament in a bowl or paper towel. I recommend that you do this outside or at least in a room with some ventilation and with some newspapers to protect your work area, not on the carpet like in the video. 3. Now the fun part, get your glitter and pour it into the ornament, shake around so that you are coating the whole thing. Then empty out excess glitter. Set aside. 4.Now you can either use clay that is colored or white clay if your using the white clay then you will want to get your food coloring and pinch off a little bit of clay and add some pink food coloring, this will be your horn. Add just a drop and mix it in really good. Warning, pink fingers! lol! 5. Next you will get out another little piece of clay and work it into a small ball. Then roll each one into small ropes. One white and one with the pink clay. 6. Twist each rope together to make your horn. 7. Now you want to cut it with your knife, so it’s handy to make more than one at a time. Twist into the shape of a horn, so cute!! 8. Let the ornaments and the horn dry for 24 hours. If your making with family then you will want to have this part done already, then all the family has to do is glue them together. 9.Next you’ll want to pluck off the flowers from the stem and if you bought white flowers you will color them with your markers, if you found colored flowers then you can skip the marker part. 10. Cut Two white ears out of your white felt, then cut two smaller pieces of the pink for the inside of the ear. Glue those together. 11. Put the tops back on the ornaments and start putting together your Unicorns! 12. Glue the horn on first, then add the ears on each side of the horn, then glue on the flowers. 13. Last draw on your eyelashes to finish off your Ornament. Didn’t it turn out so CUTE! Now wasn't that so Easy?! What a fun project to do with the family! Call up your family this year and make a date to make these super fun, easy and totally adorable ornaments this year. Not only will you have fun but you will be making memories with your loved ones. ← How To Make Easy DIY String Christmas Tree Decorations That Look Fabulous!